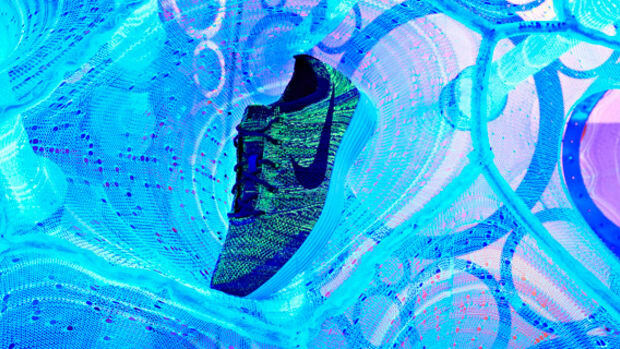 A magnified Nike Flyknit Racer to serve as the backdrop, Mark Parker, President & CEO of Nike, unveiled the company&apos;s new technology initiatives ahead of the 2012 Summer Olympic Games in London later this year. 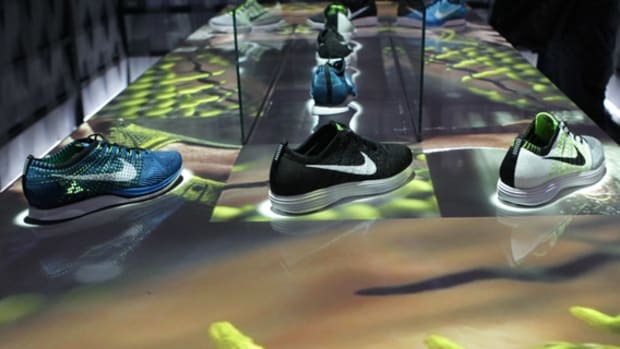 Among the many announced during today&apos;s presentation at New York City, none resonates the seamless integration of sports and lifestyle than the new Nike Flyknit design. 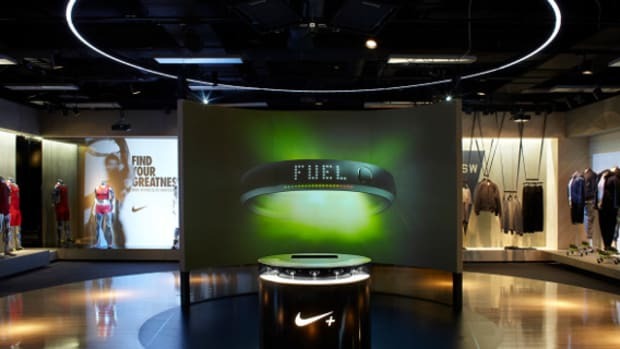 Not only as the lightest and one of the most supportive material created by the world&apos;s largest athletic wear company, the Nike Flyknit is also the environmentally sound with the utmost minimal waster or by-products. 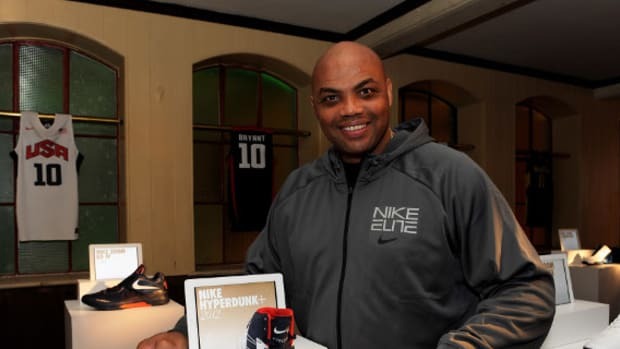 To highlight the source of creativity behind such innovative technology, Nike picked up the story where Parker left off in this animation. With new Nike Flyknit technology, yarns and fabric variations are precisely engineered only where they are needed for a featherweight, formfitting and virtually seamless upper. 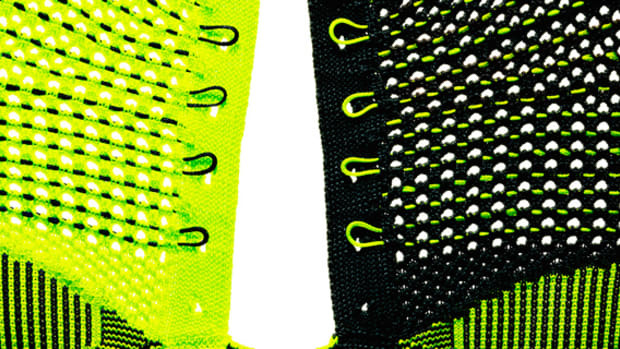 With all the structure and support knitted in, the Nike Flyknit Racer&apos;s upper and tongue weigh just 34 grams (1.2 ounces). 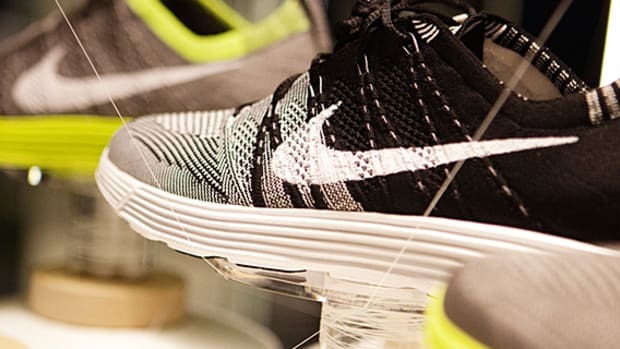 The whole shoe weighs a mere 160g (5.6 ounces) for a size 9, which is 19% lighter than the Nike Zoom Streak 3, a shoe worn by first, second and third place athletes in the men&apos;s marathon at the 2011 World Championships. The next steps were to map out where the specific yarn and knit structures were needed. Applying 40 years of knowledge from working with runners, NIKE refined the precise placement of support, flexibility and breathability all in one layer. The Nike Flyknit Racer is the marathon shoe that the world&apos;s best runners from all over the world, including those from Kenya, Great Britain, Russia and the US will wear in this spring&apos;s marathons and in London this summer. 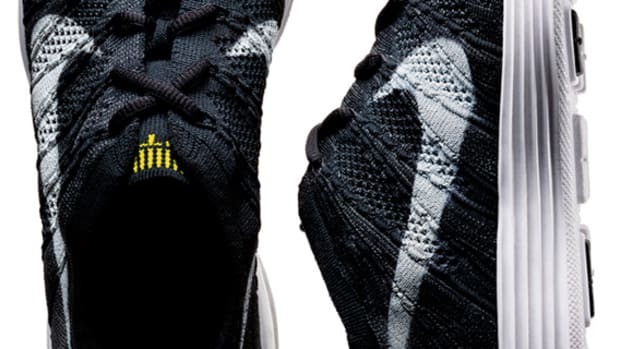 With the knowledge gained from working with the worlds best marathon runners, NIKE has also created an everyday running shoe, the Nike Flyknit Trainer+, which at 220 grams or 7.7 ounces, will bring the weight and fit benefits of Nike Flyknit to runners of all levels. 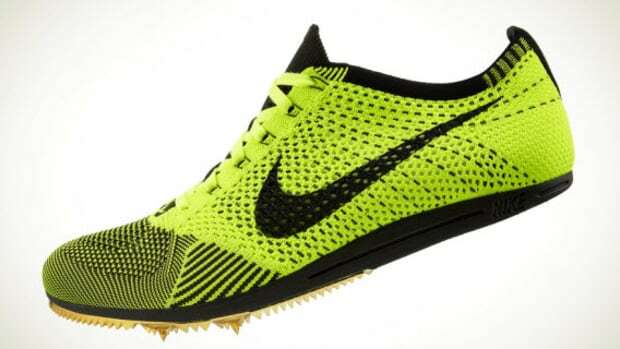 Both models will be available for all runners this coming July.